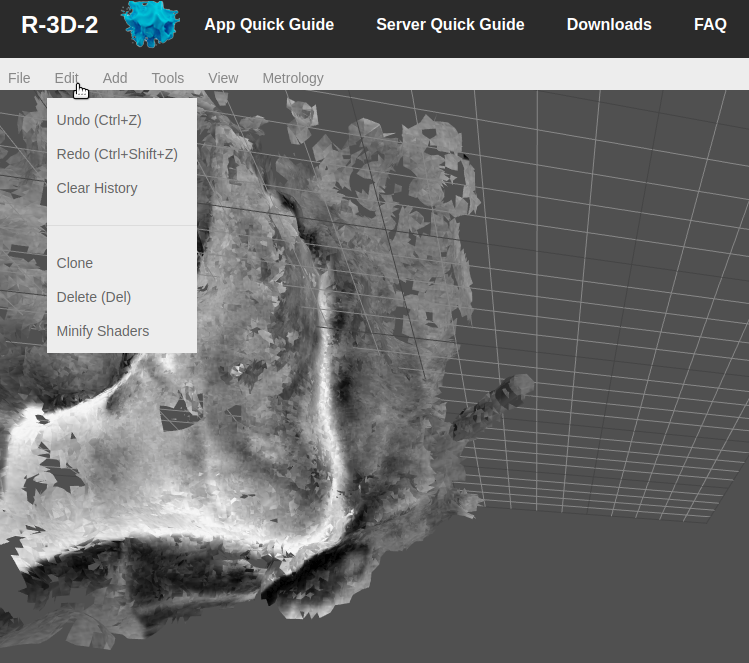 R-3D-2 Server Object Editor Guide. 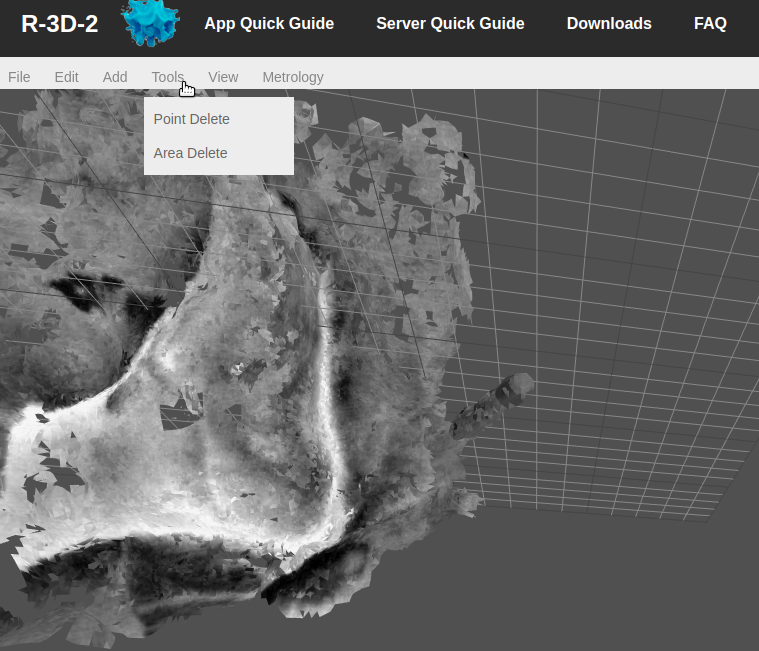 Documentation to help you get started with the Object Editor module. 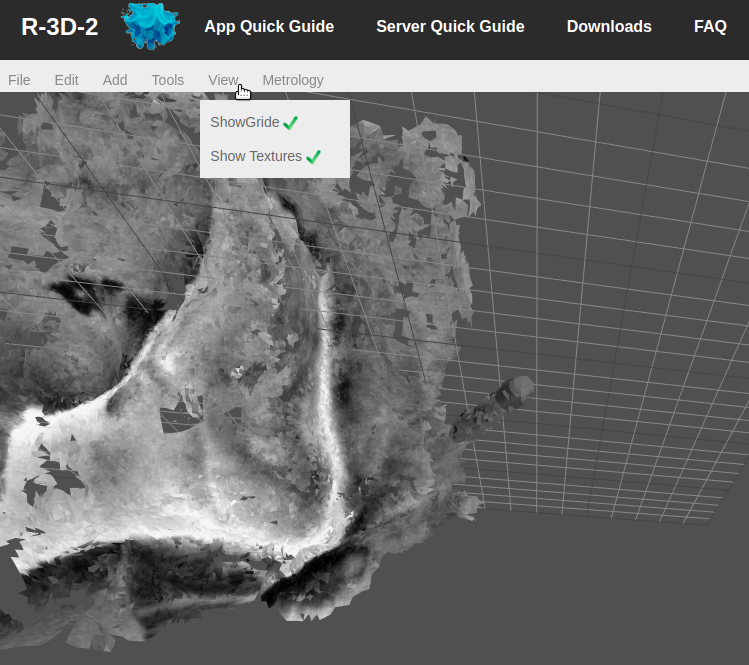 Save - Locally saves changes made to the current object, this changes are restricted to the Editor module. 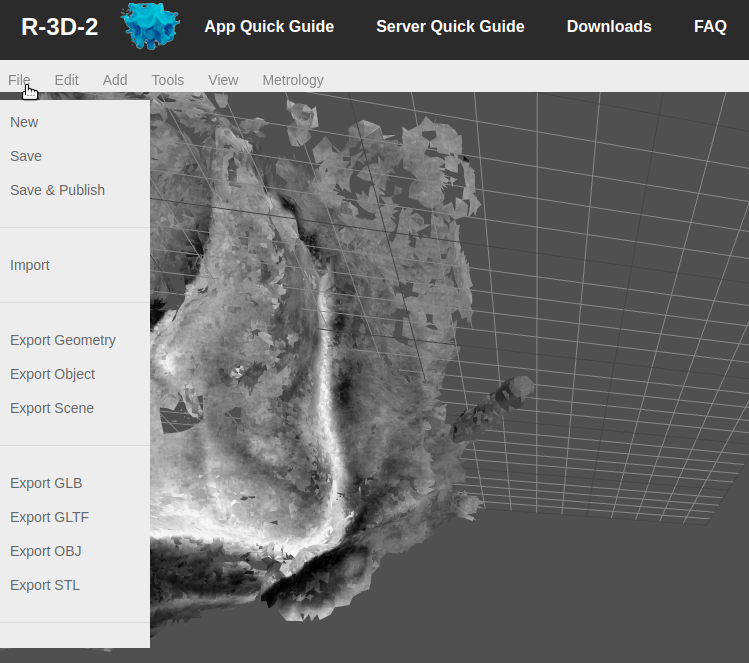 Save & Publish - Globally saves changes made to the current object, changes made are reflected also at the main page. Import - Allows to import an OBJ to the scene. 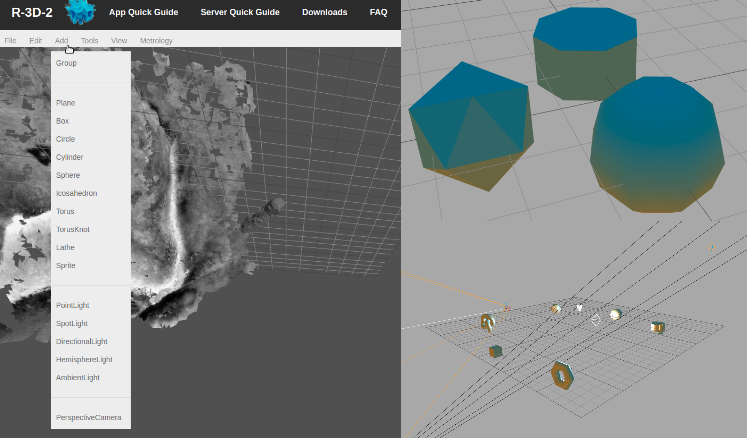 Export Geometry - Export the selected object, to OBJ file. Export Object - Export the selected object. Export Scene - Export the current scene. Area Delete - Allows to delete an area of the current object,due to limitations at selection is necessary to select the zone desired to delete a few times at several angles, while active orbital controls are disabled. 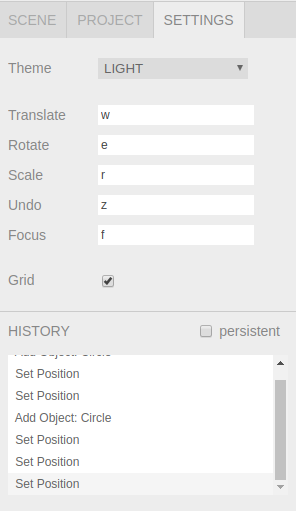 Position Values - Displays all camera values that define the position, zoom, and angle. 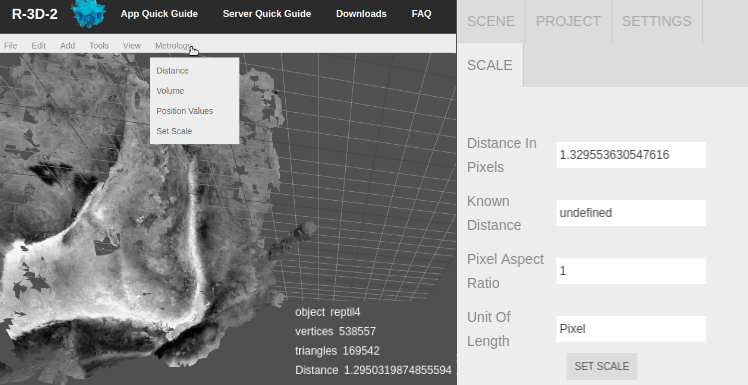 Set scale - Allows to define a scale from a known distance. It comprehends parameters concerning the objects displayed at scene. It shows them all at the first section, once you click on one of them it displays all values concerning position and size at the objet seccion of this sidebar. 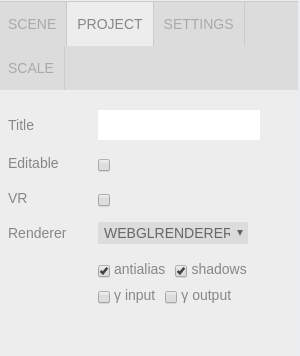 This section allows to edit properties regarding the renderer, enable antialias and shadows. Allows to modify shortcuts and displays history of undo/redo.